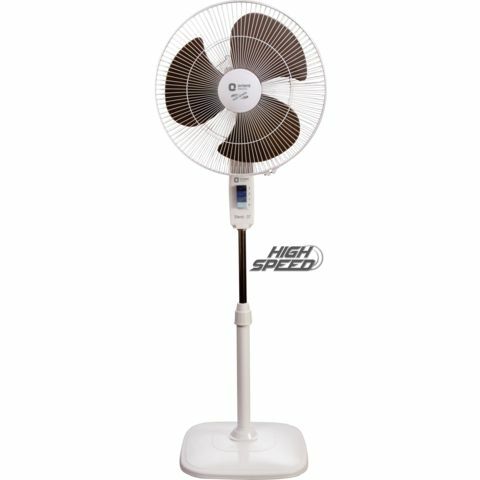 The Orient Electric Electric Stand 37 fan promises to beat the heat this summer season with its powerful air circulating motor. The stand fan is equally good in both the looks and specs. 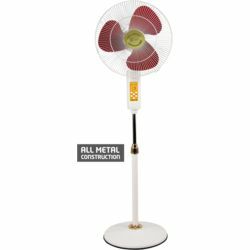 Some of the key features of the Orient Electric Electric Stand 37 are powder coated guard and polymer ring for protection against corrosion, aerodynamic resin blades for maximum air delivery, fan head tilt mechanism and 90-degree oscillation. 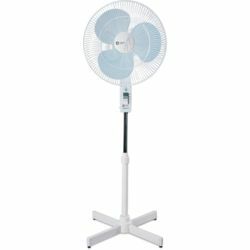 This model is perfectly suited for heavy usage in large halls. 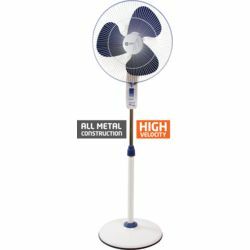 The Orient Electric Electric Stand 37 fan promises to beat the heat this summer season with its powerful air circulating motor. The stand fan is equally good in both the looks and specs. Some of the key features of the Orient Electric Electric Stand 37 are powder coated guard and polymer ring for protection against corrosion, aerodynamic resin blades for maximum air delivery, fan head tilt mechanism and 90-degree oscillation. 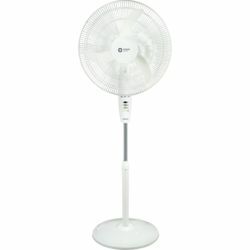 This model is perfectly suited for heavy usage in large halls.